Hi ladies! 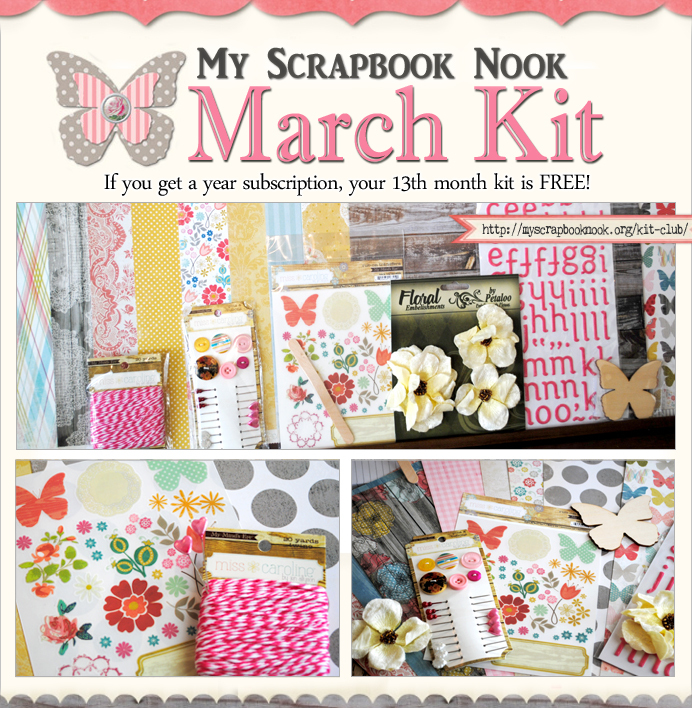 Did you receive your gorgeous March kit yet? I know!!!! Gorgeous isn't it? I love the wood patterns, the color combination, those cute buttons & pins, the twine, the colorful rubons, I can go on forever. You can order and subscribe to the Nook kits here! 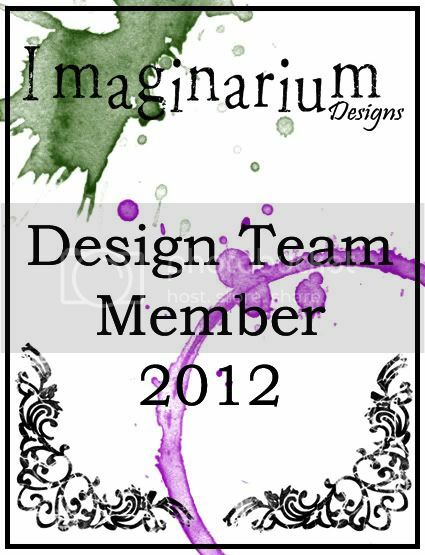 Okay now, I am sharing with you my first layout that I did using this amazing kit. I am so in love with this kit that I wish I have two of it. 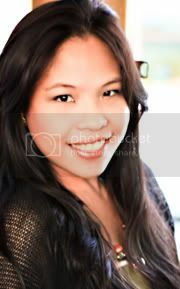 I tried my best to maximize what I have so that I can create more projects with it. 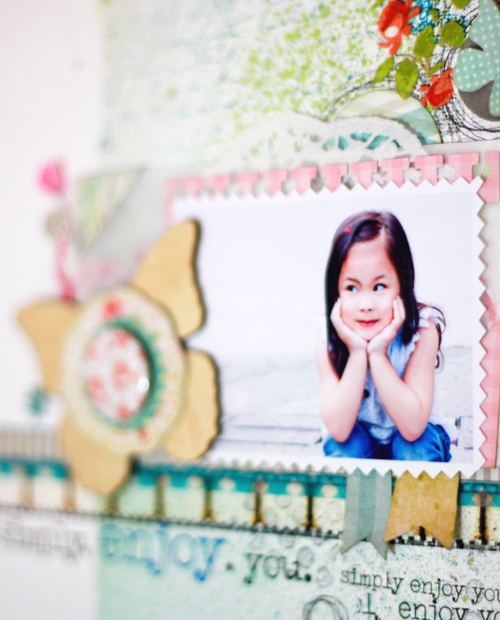 For this layout, I made my own background by misting different colors and stamping textured images to my cardstock. 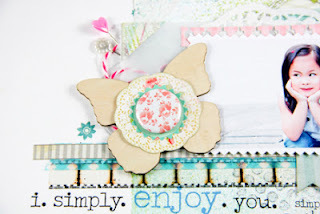 I have used Hero, Kaisercraft, MME and Idea-ology stamps. 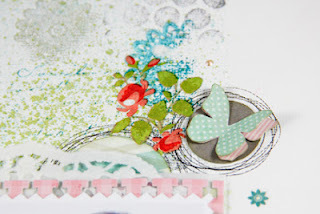 To add a touch of teal on my page, I used my washi tape and a leftover Lily Bee rubon that I got from a previous Nook kit. I love, love, love how it made my page more cohesive. The patterned papers were added minimally to make the photo pop but with the cute embellishments that came with the kit, I was able to achieve the look I was aiming for. Thanks for dropping by! I'll show you more in the next few days. One will be a double page class using the March kit. 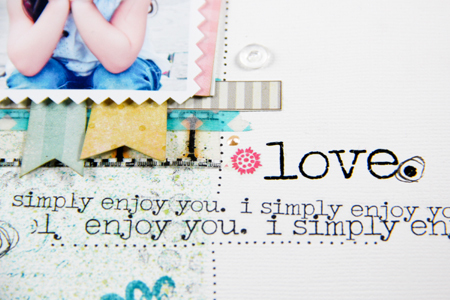 sorry, that was supposed to say "Love how you created the background"
I love the mix of all the different stamps! I got my kit! Your layout is so sweet and soft ! Beautiful ! beautiful layout! I love the colours and background! Wonderful page! So many artsy touches! Sooooooo beautiful! I loveeee the colors and loving the Lily Bee rub ons!! So cute! That photo is precious and you did an amazing job scrapping it! Beautiful layout, you scrapped that photo so perfectly! LG this is absolutely GORGEOUS! 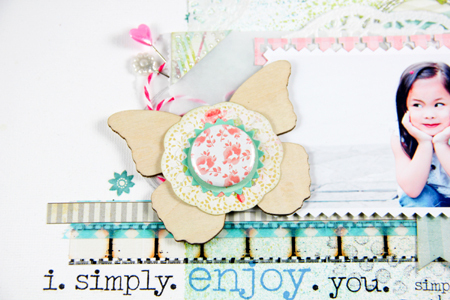 Love your background, the rub-ons and all the little details that I just can't get enough of!